Kristen/ Bronson - "The Very Beginning"
A Space/Glass Quilt. And a work in progress. This is part one in a series of Three. 1. 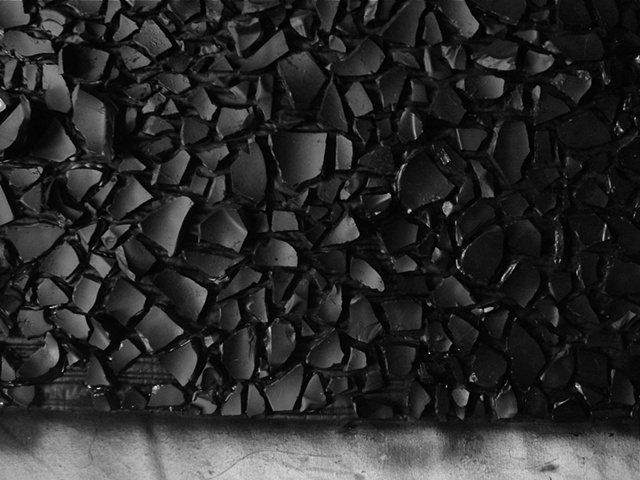 "The Very Beginning": a black, glass quilt. 2. "Life": a white, glass quilt. 3. "The Birth of Language": a copper glass quilt.